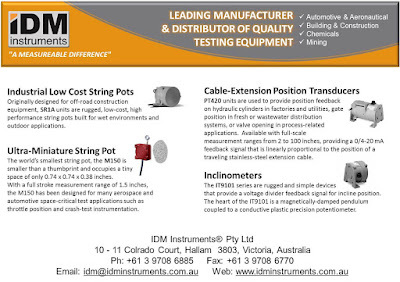 IDM Instruments is able to complete any measurement testing for you. With hundreds of products available, we are sure to be your number one measurement tester. We can also loan our machines to you for measurement testing. Machines are available for short and long term. You can then perform your own measurement testing I your time while having the reduced costs of renting instead of buying an entire testing machine. We can perform measurement testing for carpet with machines such as our tetrapod abrasion tester or our static load tester for carpets. Measurement testing can also be performed for mattresses with machines such as our bedding impact tester, mattress compression tester, mattress rolator or our cornell type tester. If you would like to complete measurement testing for shoes, we can certainly accommodate you with our sole abrasion tester, shoe drop tester or a whole sole flex tester. We are also able to complete measurement testing for rubber with dry or wet din abrader, dry bath aging block or the torsion bending fatigue tester. Selected machines are available on a first come first serve basis. We have comprehensive data sheets for all our measurement instruments with highly skilled staff that can help you make the right choice for any measurement testing. Contact us at any time to see how we can better help you with your measurement testing needs.